For Bill Drayton, “The life purpose of the true social entrepreneur is to change the world.” As the founder and CEO of Ashoka: Innovators for the Public, Drayton and his organization have been funding and supporting social entrepreneurs since the first Ashoka Fellows were elected in India in 1981. Social entrepreneurs – working outside of conventional business and government sectors – are creating innovative solutions, delivering extraordinary results, and improving the lives of millions of people. By funding the work of over 3,000 changemakers in more than 70 countries, Drayton has impacted issues ranging from human rights abuses to climate change to poverty. Drayton’s insight into the power of social entrepreneurs began to take shape as a young student growing up in New York City. Drayton saw public service and strong family values woven through the histories of both of his parents’ families - which include many of the earliest anti-slavery abolitionist and women’s rights leaders in the U.S.
As a high school student at Phillips Academy, Drayton created and built the Asia Society into the school’s largest student organization. As a young NAACP member, he was actively engaged in and deeply stirred by civil rights work. While studying at Harvard, he founded Ashoka Table, an interdisciplinary forum in the social sciences. At Yale Law School Drayton launched Yale Legislative Services. By the time he graduated from Yale, he engaged one third of the student body in helping key legislators throughout the northeast in crafting legislation. Drayton’s academic and civic pursuits during his early years, combined with a growing concern for the inequalities he saw in the US and in countries around the globe, deepened his vision of a world where individuals who channel their passion into action could act as change makers for society. Bill Drayton is a visionary but he is also a manager and management consultant with an interest and understanding of how human institutions actually work. While he loves history and thinks first in historical terms, Drayton’s training in management, economics and law led him to begin his career with McKinsey and Company in New York. At McKinsey for ten years, he gained wide experience working with both public and private clients. Following his work with McKinsey, Drayton served asAssistant Administrator at the U.S. Environmental Protection agency (EPA) pioneering the first demonstration of “emissions trading” – a market-based approach to pollution reduction that has since been adopted around the world. In 1981, when his termed ended at the EPA, he returned to McKinsey half time and launched Ashoka and Save EPA. Drayton was able to fully devote himself to Ashoka in 1984 with the support that he received when he was elected a MacArthur Fellow. As CEO of Ashoka, Drayton continues to provide social entrepreneurs – and their new ideas – with financial and professional support to help them spread their ideas and solutions, individually and collectively. He is also chair of Youth Ventures, Community Greens, and Get America Working!, all Ashoka initiatives and strategic innovations for the common good. Founded in 1996, Youth Ventures is an international community of young changemakers that seeks to help young people improve their communities. With the support of Youth Ventures, over 5,000 teams of young people are leading their own “Ventures” – creating AIDS education campaigns, tutoring programs, book clubs, composting cafeterias and more. Recognizing the importance of restoring communities to neighborhoods, adding usable green space to cities and empowering citizens to assume management and ownership of shared green spaces, Drayton created Community Greens in 2001. The conversion of underutilized backyards and dysfunctional alleys into attractive usable green space in city neighborhoods in the United States have numerous benefits including the development of new community leaders and organizations. Get America Working! is a non-profit national organization founded to create millions of jobs through structural changes in the U.S. economy. Believing that successful jobs creation is achieved by removing key economic and social barriers to employment, Get America Working! connects and partners with many groups to increase work opportunities for young people, seniors, the disabled, minorities, and others who often have been pushed to the sidelines. Drayton’s achievements have earned him numerous awards and honors. He has received Yale School of Management's annual Award for Entrepreneurial Excellence. The American Society of Public Administration and the National Academy of Public Administration jointly awarded him their National Public Service Award, and Common Cause awarded him its Public Service Achievement Award. In 2005, he was selected one of America's Best Leaders by US News & World Report and Harvard's Center for Public Leadership. He is the recipient of Yale Law School's highest alumni honor, The Yale Law School Award of Merit - for his substantial contribution to Public Service and has been recognized as one of Harvard University's 100 "Most Influential Alumni." 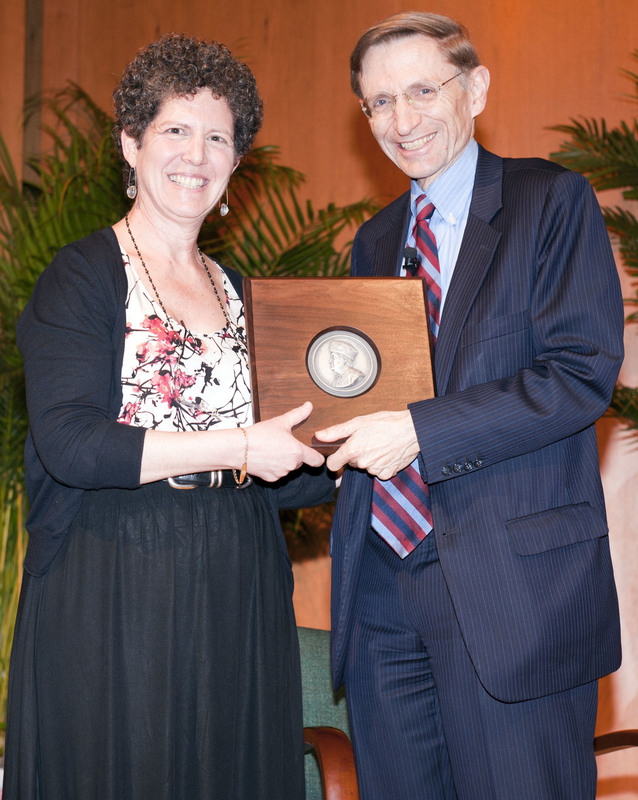 Since creating Ashoka in 1980, Bill Drayton has steadily built a reputation for advancing citizen-led innovation focused on social change. His vision, passion and pursuit of system-changing ideas and individuals with the ability to effect global change is an inspiration to all. His success at finding and nurturing leaders in social entrepreneurship has had a profound impact in organizations and communities in Africa, Asia, Latin America and elsewhere around the world. Drayton’s extraordinary contributions to social change make him a fitting recipient of the Benjamin Franklin Creativity Prize.